While the crew conducted their checks, engineers on Earth carefully measured the effect of both the final mid-course correction and, if appropriate, the jettisoning of the SIM bay door. From this, FIDO calculated the definitive LOI-1 burn. All the information associated with the burn was written onto a no-carbon-required pad that allowed six copies to be made at once, with the top layer being written using a red ballpoint pen in order to help to distinguish what was to be read to the crew. 1 See Chapter 6 for a fuller explanation of the REFSMMAT, a defined orientation in space. This list, referred to as a PAD (pre-advisory data), was read carefully by Capcom over the air/ground communication circuit and copied by one of the crew, usually the LMP, onto an identical form. Immediately afterwards, it was all read back to Earth with several controllers checking it to confirm that its contents had been correctly copied down. Much of the information in the PAD would later be entered manually into the computer, as the first stage of preparing it for the automatic control of the burn. Reading long lists of numbers by voice seems to be a very low-tech method of relaying data to the spacecraft, and although there had been some consideration of adding a teleprinter to an already crammed cabin, the idea was shelved in view of the limited space, the weight of the apparatus and the tight schedule imposed on the programme by Kennedy's challenge. The PAD was little more than a list of numbers that were almost indecipherable to the uninformed ear. As well as the impenetrable numbers, the language was jargon-rich, being derived from the military aviation background that most of its participants, both crew and flight controllers knew. Henize read out these numbers in strict order from the top copy of the form, with each digit occupying its own box. On board Endeavour, Irwin wrote the digits onto his form, one in each box. The PAD finished with a series of comments referring to the burn. The PAD for Apollo 15's LOI manoeuvre. Apollo thrived because, when dealing with the hostile, unforgiving space environment, particularly in the vicinity of the Moon, its people worked through the technical and operational aspects of the task with great care. Every item on this PAD was well defined and the procedures for passing such life-or-death information to its recipients were strictly adhered to. The following puts meaning to the numbers and phrases. LOI, SPS/G&N - The first two items stated the purpose of the PAD and the systems used to achieve the manoeuvre that it described. In this case it is a lunar orbit insertion PAD that was used to place Apollo 15 into its initial orbit around the Moon; the burn was carried out by the SPS engine and associated equipment under the control of Endeavour's primary guidance and navigation system. 66244 - In its calculations, the computer needed to know what mass the engine had to push against. This was in two parts, the CSM and the LM. Since the PAD form only had space for the CSM mass, the LM mass was given later. It is an interesting aside that the people at NASA were still using the term 'weight' when, strictly speaking, they should have been using the term 'mass'. Mass is a measure of the amount of matter an object has, and in modern times the standard unit of mass is the kilogram. Weight is a measure of the force exerted by the mass on whatever is supporting it, which varies according to the gravity field it is in. At this point, the Apollo CSM was weightless though its mass was just over 30,000 kilograms (66,244 pounds as given in the PAD). This figure was determined by pre-flight measurements, and by carefully accounting for consumables on board the spacecraft. Next were two three-figure values with signs - plus 121 and minus 012. These were angles, measured in hundredths of a degree, and could be written as +1.21°, and — 0.12°. Known as the pitch and yaw trim, they were the angles to which the crew had to swivel the main engine's nozzle so that its thrust acted through the spacecraft's centre-of-gravity. 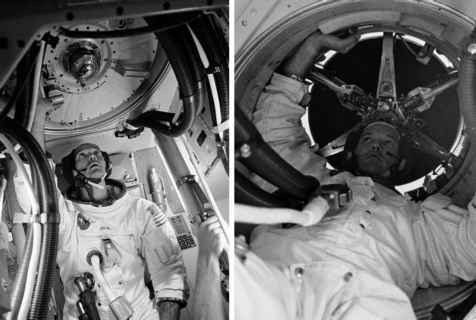 Throughout the progress of the flight, the position of the centre-of-gravity changed as propellants were used up, the lunar module departed and redocked, and as the moonrocks were transferred to the command module. All this shifting of mass was carefully accounted for by mission control so that the spacecraft's flight characteristics would be known when planning a manoeuvre. The pitch and yaw trim values were really only required for the initial moments of SPS firing. Once the engine was running, the G&N system was able to continue steering its nozzle to steady the spacecraft throughout a long burn. The large nine-digit number - 078314591 - represented the time of ignition, normally referred to as 'tig', down to hundredths of a second as measured against the ground elapsed time (GET) clock. In this case, ignition was to occur at 78 hours, 31 minutes, 45.91 seconds after launch. 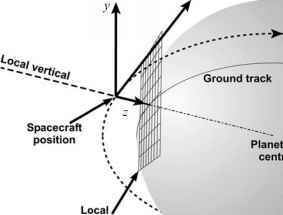 Although GET was notionally measured from the moment of lift-off from Earth, there were some cases, when launch was a little delayed, that GET would be adjusted during the flight so that subsequent event times would match their place in the flight plan.